Scott & Renae McKinnon, started Wolf of the Willows as a contract brewing operation in late-2014. At the time they were entering a relatively crowded market, not as crowded as it is now admittedly, so had to stand out some how. 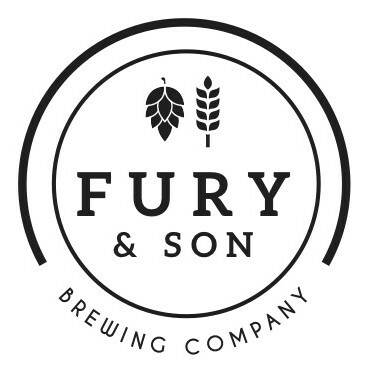 They went about it by having striking branding and one of the better names out there. 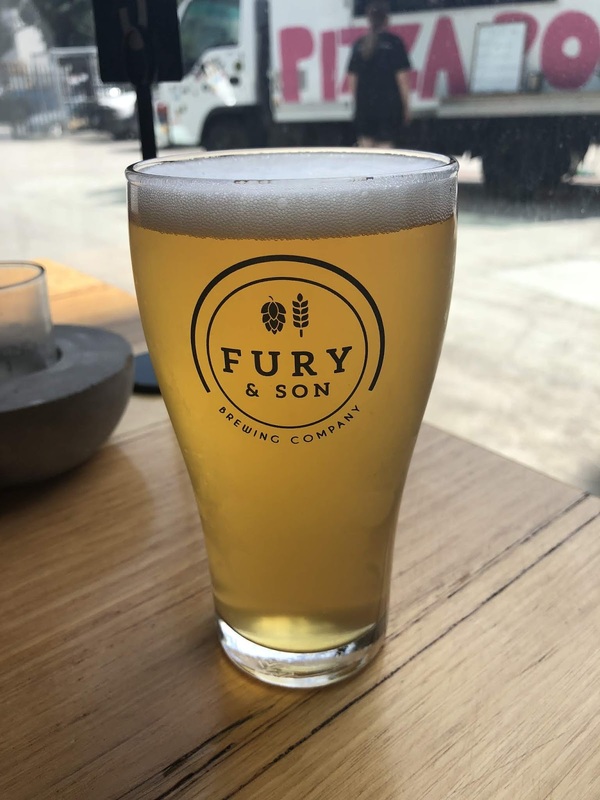 The inspiration for the name of the brewery took inspiration from the work of Pliny the Elder, the Roman naturalist, better known in beer circles for the IPA named after him from Russian River. He is credited with the first description of hops, which he described as lupus salictarius, in English "wolf among the willows". The three beers that became their core range followed over the next year, before they managed to secure a brewing space of their own. Well sort of... 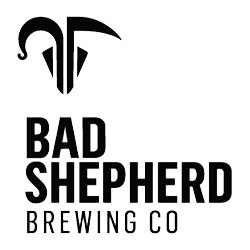 They share a brewing facility with Bad Shepherd, located on a back street in Cheltenham. 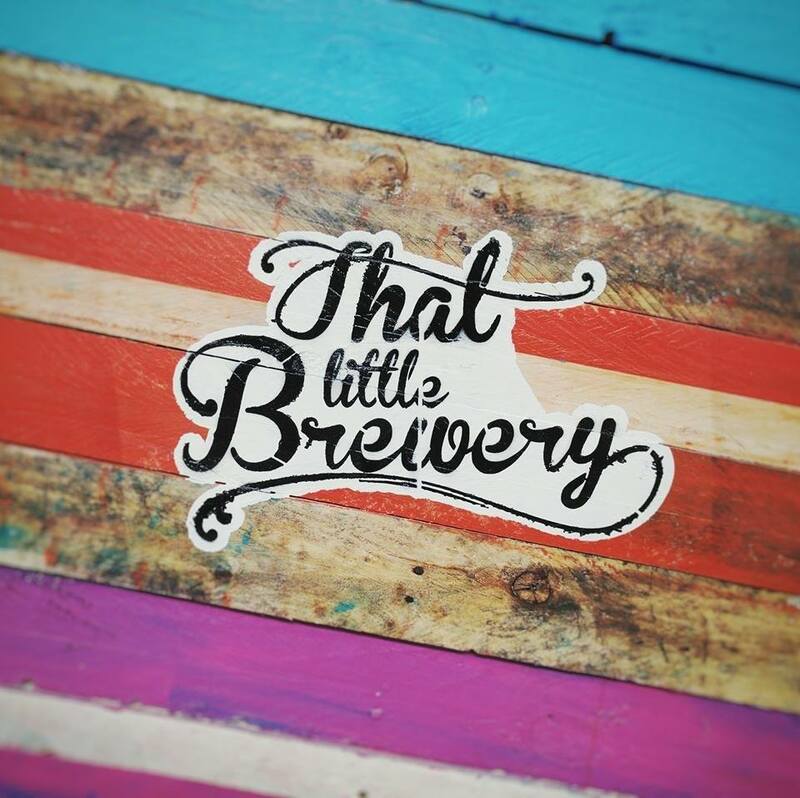 Moving from a contract/gypsy operation to a physical brewery has allowed Wolf of the Willows to massively expand the range of beers that they brew & fine tune their already excellent core range. 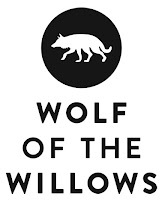 As mentioned above, Wolf of the Willows share their brewpub with Bad Shepherd. As such much of the following is recycled from the Bad Shepherd post. As you walk up the stairs to the brewpub their is a large decking area to your right. The tiled bar is in front of you as you walk in and runs a pretty significant amount of the way from front to back of the brewery. This draws your eyes to the stainless steel, which takes pride of place at the back of the warehouse. 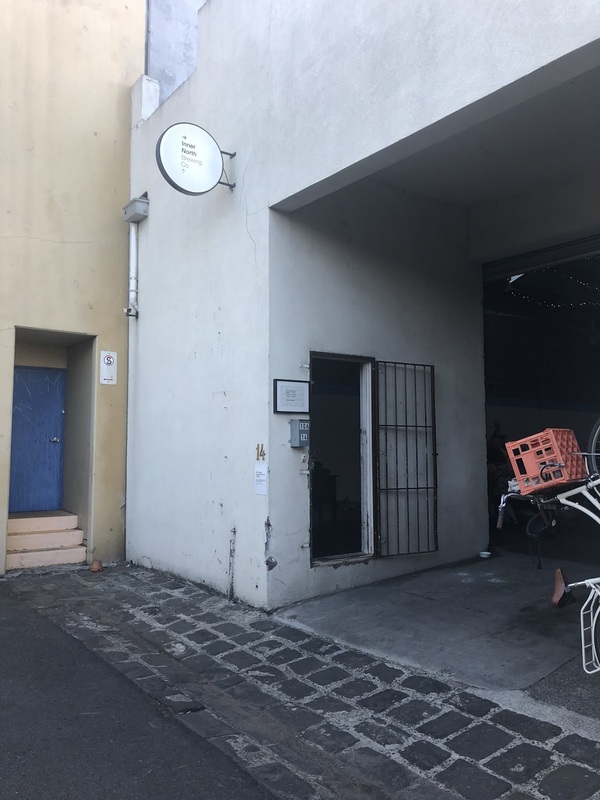 As you can see in the picture above (photo credit: City Lane), it's quite a well lit warehouse with a high roof. 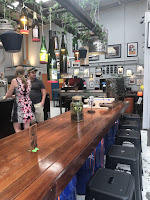 There's plenty of timber and exposed steel in the construction of the building and this has been incorporated into the fitout, which is quite minimalist and modern. The tables are quite large, which is a good thing as the food is plentiful! The brewpub is known for their American BBQ, it's pretty good although, as it's BBQ, it is a little on the expensive side. 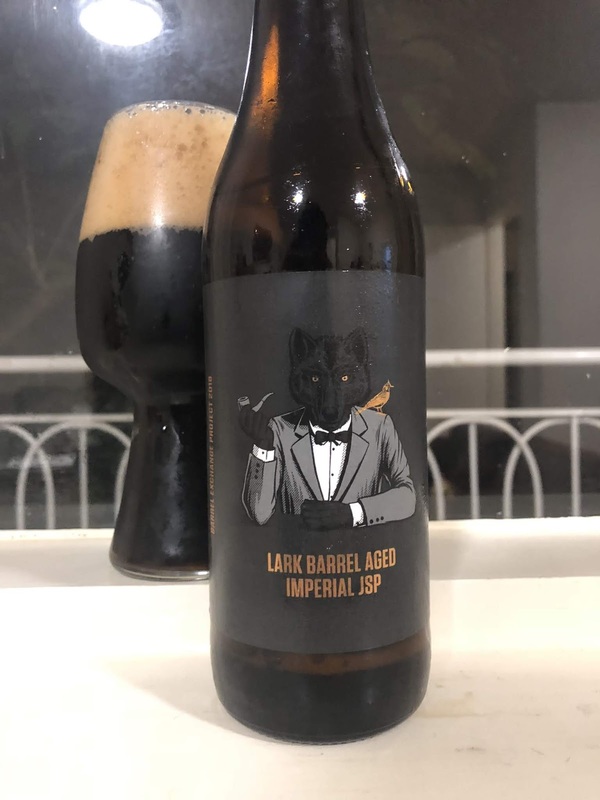 As much as I love their original beer, the XPA, I'm going to review the Lark Barrel Aged Imperial JSP. Partly because the artwork is great & more imporantly because was a seriously interesting beer! It's the first beer in what's expected to be a series, of barrel exchanges between Wolf of the Willows & Lark Distillery in Tasmania - where selected barrels will be sent back and forward and re-used. I'm pretty excited to follow these releases from both producers. This beer is a malty beast! The character that really surprised me was the smokey ham flavour, that I normally associate with Rauchbiers, which was the dominant flavour and aroma of the beer! Alongside it were layers of malt with heaps of chocolate, roast & molasses. 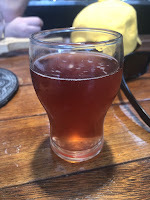 There was some whiskey notes, although I think they could've been stronger with the warming quality the most noticeable indication that it had spent time in barrel - alongside the slight oxidation these types of beers experience. All-in-all, a really intriguing beer and I will certainly be picking up the next release from this season. It should also be noted that Lark are re-using the barrels that had beer in them and will be releasing a single malt called The Wolf Edition at some point in the future. Husband & wife team Dereck & Diti Hales threw in their corporate careers and started Bad Shepherd in 2015. 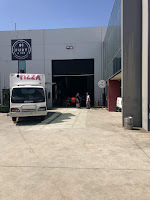 Their brewpub is housed in a converted warehouse in the back streets of Cheltenham, not far from the Nepean Highway. 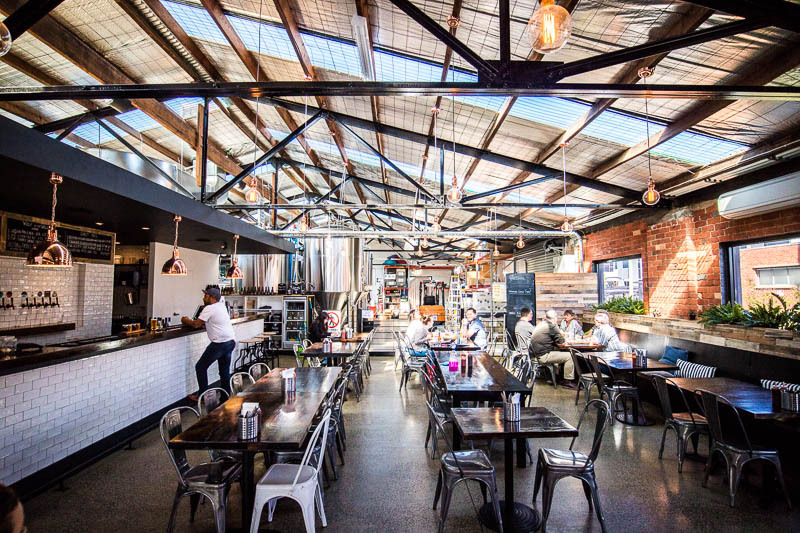 The brewpub has become something of a community hub in Cheltenham, attracting beer lovers and local workers alike. Their brewing facility doesn't just house them however. 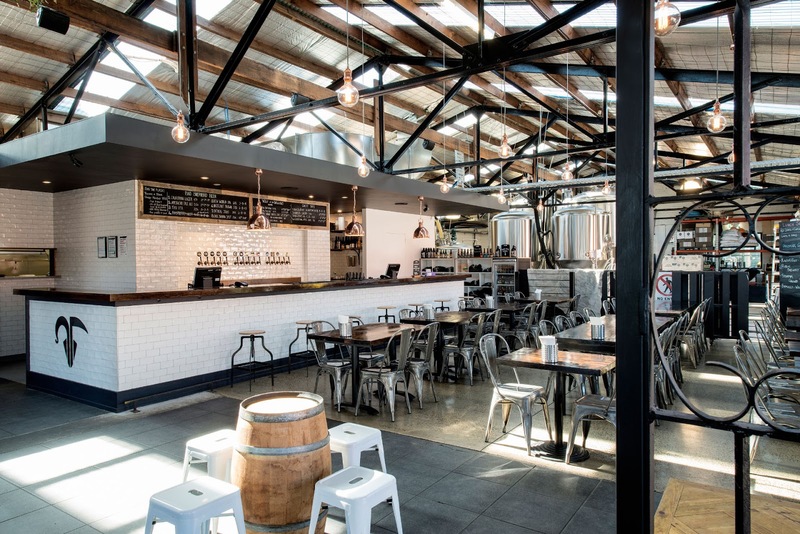 In 2015 they teamed up with another husband & wife team, Scott & Renae McKinnon of Wolf of the Willows, to build the wonderful brewpub and production facility that has become so attached to their brand. 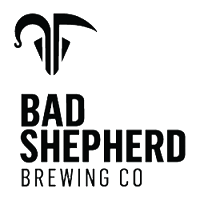 Bad Shepherd originally made their name making a really interesting core range, the Raspberry Wheat & Hazelnut Brown spring to mind. Their core range has been a little harder to find in recent years as they've focused more on limited releases. The brewpub is on a relatively quiet street in Cheltenham. As you walk up the stairs to the brewpub their is a large decking area on the front right. The tiled bar is in front of you as you walk in and runs a pretty significant amount of the way from front to back of the brewery. This draws your eyes to the stainless steel, which takes pride of place at the back of the warehouse. 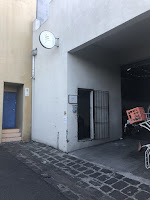 As you can see in the picture above, it's quite a well lit warehouse with a high roof. 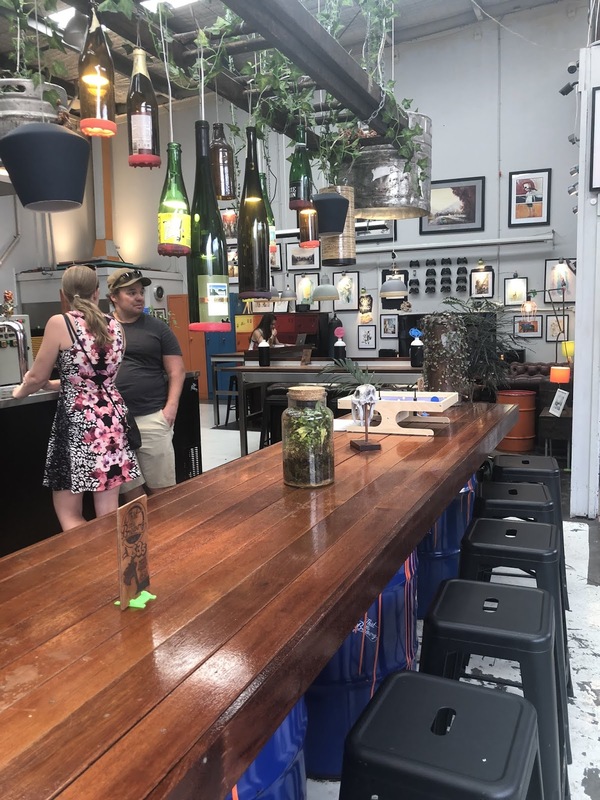 There's plenty of timber and exposed steel in the construction of the building and this has been incorporated into the fitout, which is quite minimalist and modern. The tables are quite large, which is a good thing as Bad Shepherd's food is plentiful! They've become known for their American BBQ, it's pretty good although, as it's BBQ, it is a little on the expensive side. 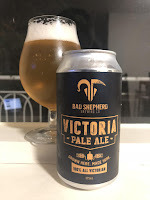 There was only ever one choice for their beer in this list; Victoria Pale Ale. This beer is brewed with 100% Victorian ingredients! The hops come from Barrett Burston in Geelong, the hops (Vic Secret & Topaz) from Hop Product Australia's Rostrevor Farm and the piece de resistance, Melbourne No. 1 Ale Yeast - unused & in storage at White Labs since 1936! 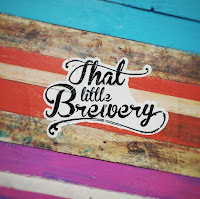 The idea is wonderful, and might I add perfect for the project I'm undertaking this year, however the thing that really matters is that the beer is good. It's a 4.2% summer ale and so accordingly it's quite a light bodied beer, with malt taking a back seat. The hops again don't provide a heap of flavour or bitterness, however there is some fruitiness from the yeast. 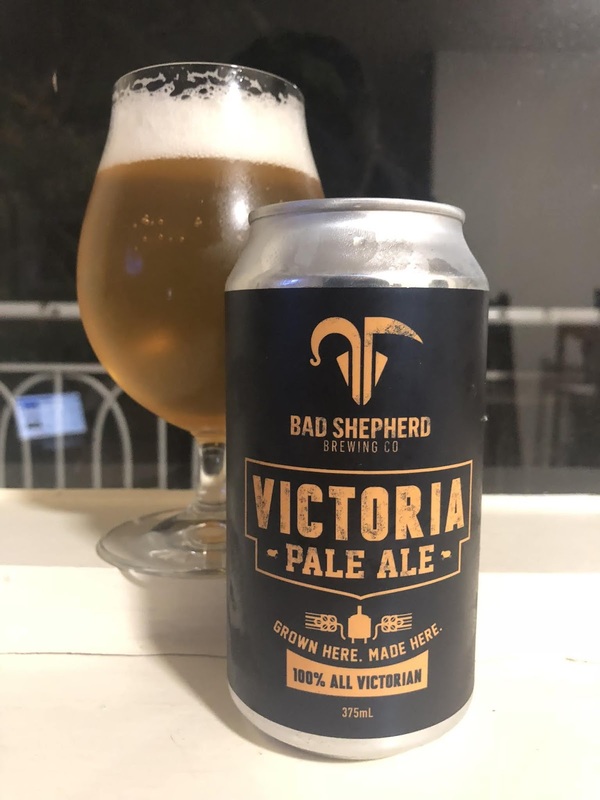 I've heard that Bad Shepherd are looking to make Melbourne No. 1 their house yeast so watch this space... I think this yeast could work really well in a big IPA or Imperial IPA. The team behind Loch's first passion was whisky. 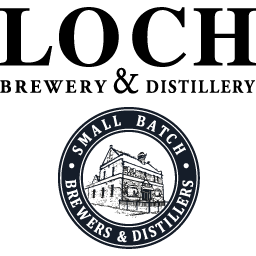 Trips to Tasmania and the U.K. followed for Craig & Mel, where they learnt more about the art of good Single Malt visiting some distilleries with some breweries thrown in for good measure. On this trip they learnt that to make good whisky you have to be able to make good beer. (The overly simplified explanation of whisky is that you brew a base beer and then distill it.) 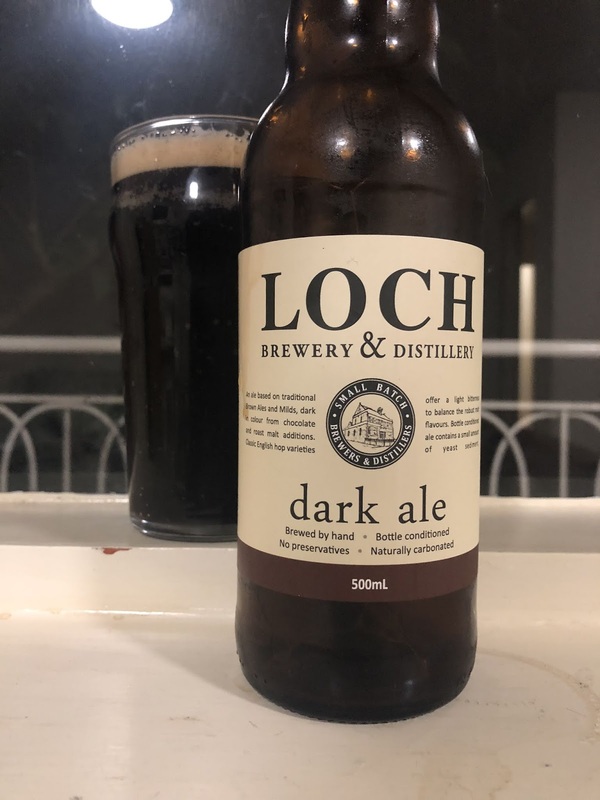 To use their own words "if you needed 80% of a brewery to make a whisky beer, why not complete the extra 20% and brew some good old fashioned Ales." That is exactly what they did. 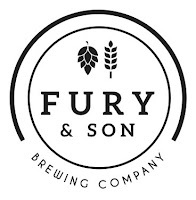 They designed their own brewing system and had it made in nearby Langwarrin. 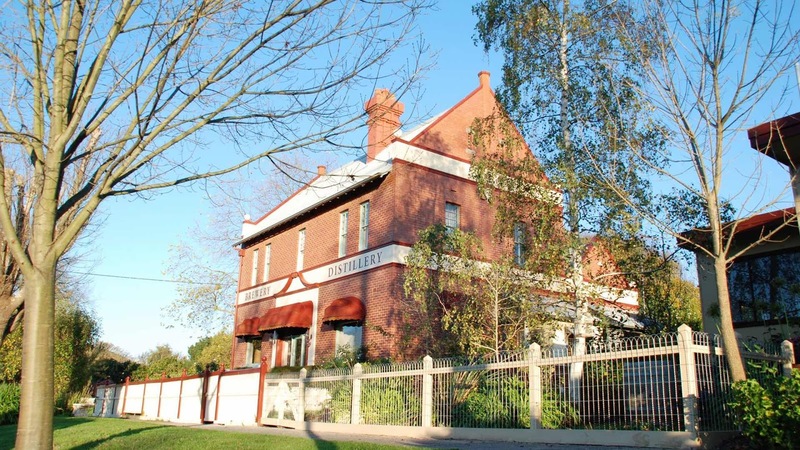 The brewery fits snugly into the old butchers shop next to the wonderful brick building pictured left that functions as their distillery & cellar door. The cellar door is beautifully presented with the copper still taking pride of place in the middle of the main room. The bar greets you as soon open the big glass doors. The walls are covered in shelves proudly displaying their wide range of products & shelves. When we visited there were a number of groups dotted around the place. For those of you with furry friends, there is a lovely little beer garden between the two buildings where you can sample the wares. Naturally I indulged in a tasting paddle at the brewery. 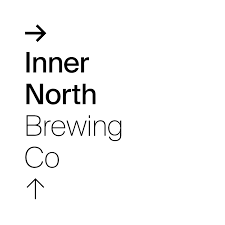 They've got three core range beers & a rotating special release tap. 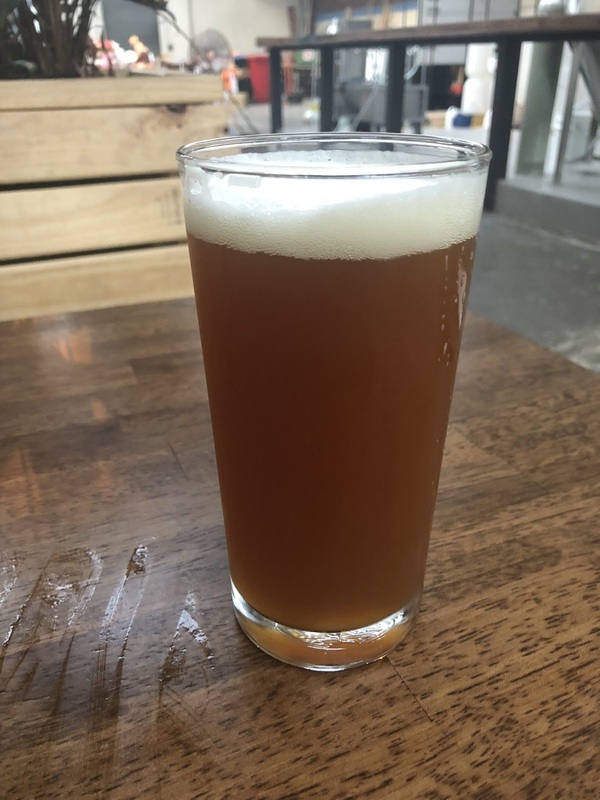 The recipes are all heavily influenced by English brewing & utilize traditional English hops (EKG, Fuggle, Challenger, Bramling Cross etc.). The beer I'm sharing with you today is the Dark Ale. I had this both on cask at the brewery and in a bottle that I took away with me and both were great. It had everything you'd expect from an English Dark Ale with chocolate malt characters the most prominent, with roast and smoke also both present. There is an earthy bitterness that balances the beer. On cask it's incredibly smooth, as you'd expect. It'd be a wonderful beer on a winter's visit to this picturesque brewery.